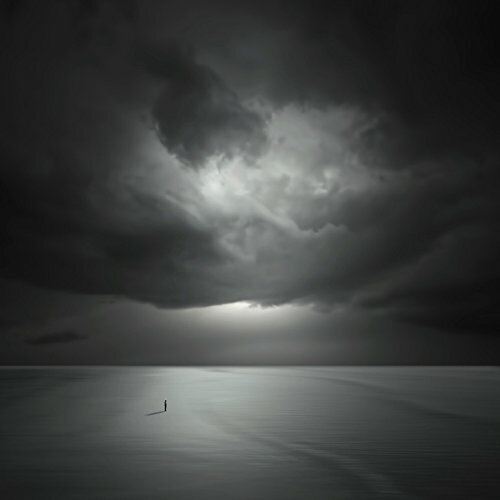 Endless by Philip McKay is a black and white surreal landscape of shifting ground and backlit storm clouds. A figure, so thin it is barely discernable, stands quietly in the distance, setting the contemplative mood of the entire piece. This work of black and white photography is perfect wall art for over a bed.